Grown is designed for real life and doesn’t require a great change in behaviour, or even a commitment of time. We want to fit into your life, not you into ours. This balancing and invigorating formulation helps increase energy levels whilst reducing fatigue without the need for stimulants. Upgrade your existing habits by mixing our formulas into tea, coffee, juice and smoothies or take a dropperful directly under your tongue as a simple way to incorporate them into an everyday diet. This adaptogenic mushroom tonic is a balancing formula designed to help strengthen and support the body’s natural defences. Adaptogens are dual directional herbs and mushrooms that support the body’s natural defences against physical, environmental and emotional stress, helping to create balance and wellbeing throughout the body. This balancing and calming formula helps promote a sense of peace, combatting the effects of stress, tension and irritability without the need for sedatives. 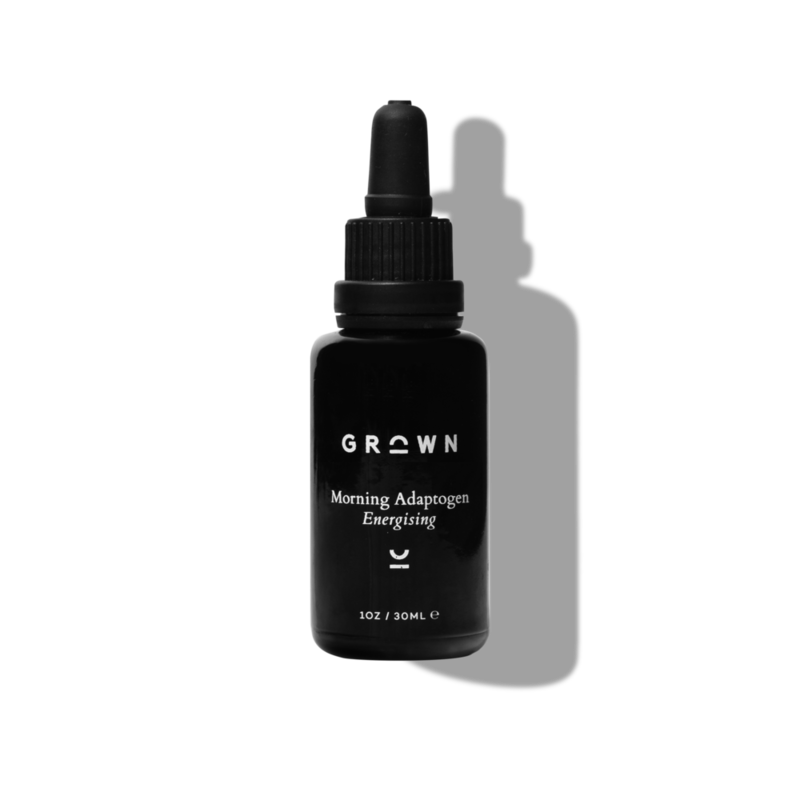 Grown is a health tonics brand, producing potent, adaptogenic formulas with therapeutic benefits.